Brazilian prosecutors gave the Mexican attorney general's office (PGR) all evidence regarding bribes construction company Odebrecht admitted to have paid to Mexican officials in exchange for contracts. 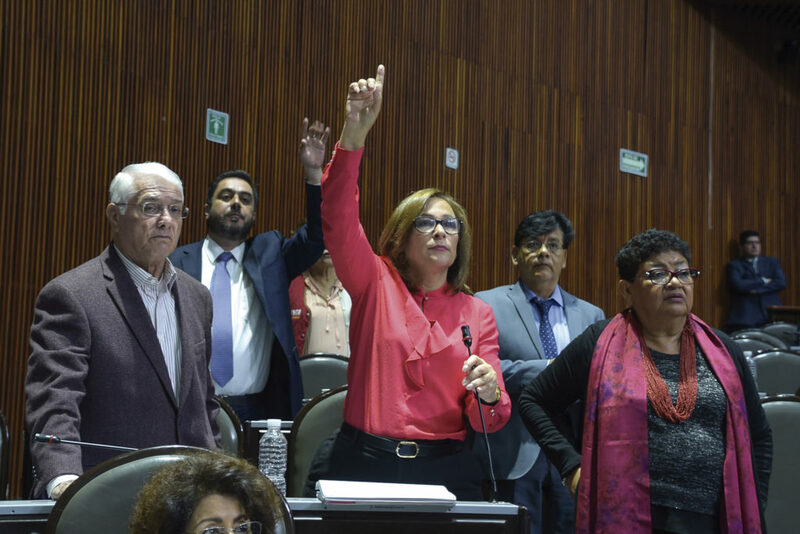 This is according to Rocío Nahle (pictured, center), a lawmaker and the parliament's coordinator of opposition party Morena. Speaking at a press conference Thursday in Mexico City, Nahle said that last August she asked head of Brazil's supreme federal tribunal Luiz Edson Fachin for information on the case, particularly the alleged involvement of Emilio Lozoya, former CEO of state oil company Pemex. She said Fachin replied in a letter dated February 1, saying that the complete file containing all the evidence Brazilian authorities collected about Odebrecht's Mexican operations is already in the hands of the PGR. Nahle also said that, based on a request Morena lawmakersfiled in December, the PGR failed to brief legislators on the investigation, despite a legal obligation to do so.